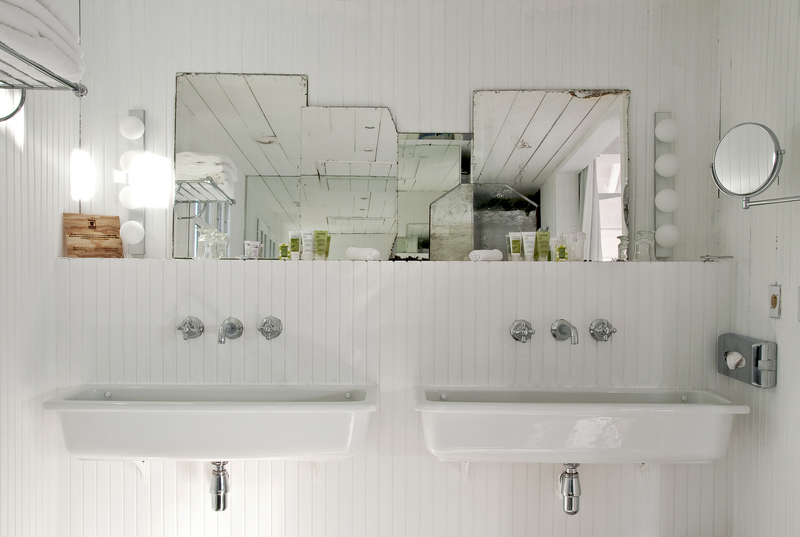 The L’ile aux Oiseaux Suite (literally the Island of the Birds) designed by Maison Martin Margiela moves me in a way I can’t explain. 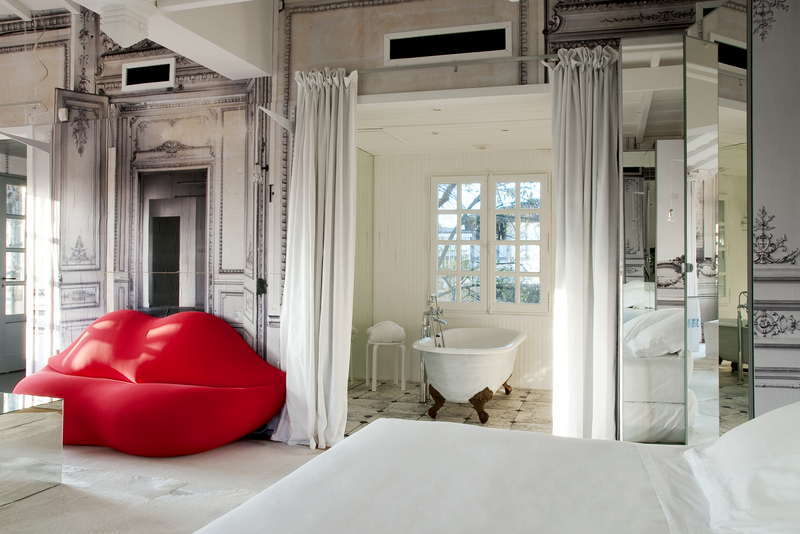 How could this apres spa chambre be so avant garde & be located in a Gilligan’s Island style hut? 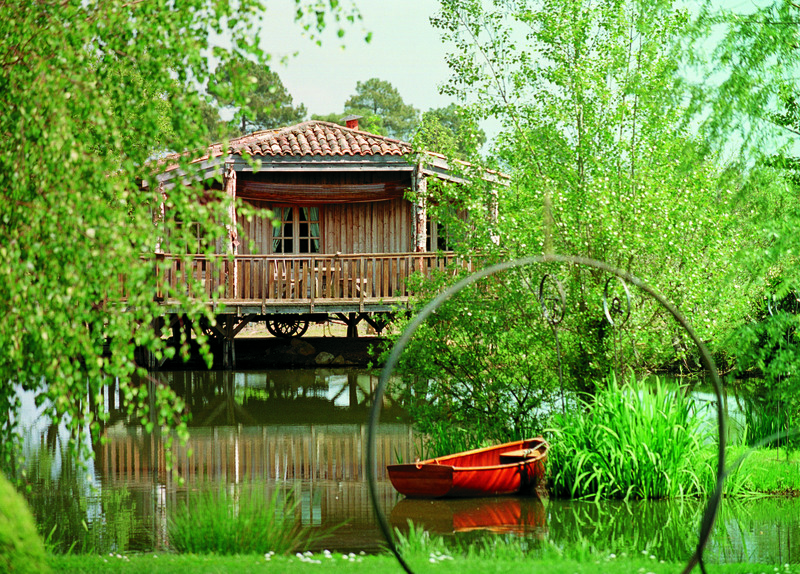 AND it’s located on a island on the lake of a world class vineyard & spa. . .sigh! 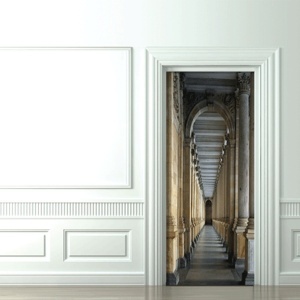 Save the bath nook below, every flat surface that isn’t mirrored is trompe l’oieled with secret passageways, doors and faux architectural detailing. Very Alice in Wonderlandish! Keeping the rest of the furnishings and textiles white make this the focal feature of the room. 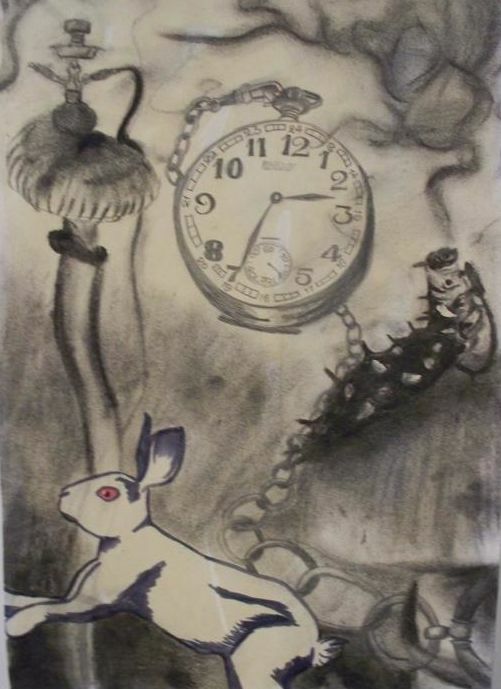 Or upload any image – I’m thinking a black and white storybook drawing would be gorgeous like the one below from Fine Art America for $50 – and send it to Block Posters who will turn into a poster large enough to cover entire walls. The iconic Heller Bocca Lips sofa with it’s solitary red mouth beckons you to sit. SpaHome: Buy the real thing from 2modern. Lips a little too out there? This Marilyn sofa from Funky Sofa keeps the sultry silhouette without being over the top. 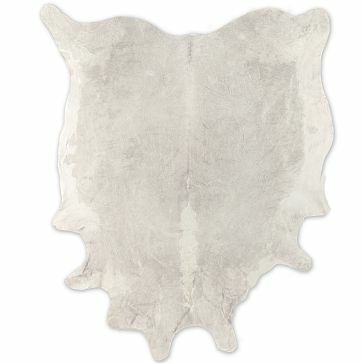 Waft across thin white carpet which is layered with white faux animal hides. The exact ones are available at West Elm. 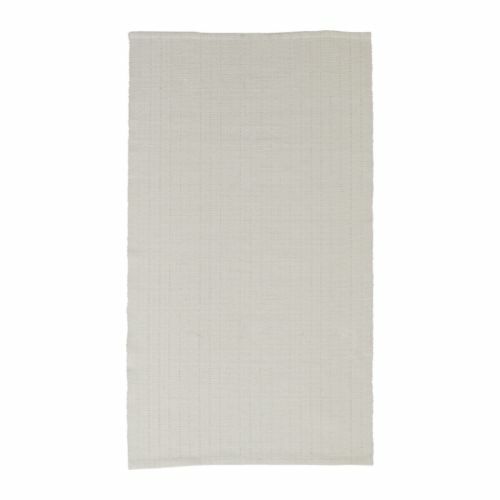 SpaHome: Layer these flatwoven Bomull carpets from Ikea. Curtains flanking a nook create a minimalist bath area. Narrow wall-mounted trough sinks take the place of a double vanity & create more open space. Distressed mirrors reminiscent of an urban skyline presiding above adding the right amount of edge. 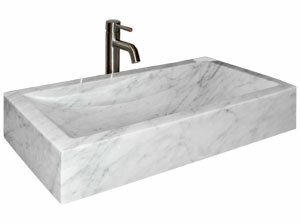 SpaHome: I love this Carrara marble trough sink from Signature Hardware. The gray veining makes it more forgiving for cleaning. Walls are outfitted with tongue and groove panels clad painted in white. SpaHome: Pine paneling about 1/4 or 3/8 inches wide painted white will give you the same effect on your own bathroom walls.